With everything a start-up business or entrepreneur could need and come together in collaboration this business centre offers ideal co-working space in the D Mall in New Delhi. High Speed Internet connection included. Enjoying the companion of notable neighbours such as Nokia, Siemens and Motorola, this office building provides a thriving business atmosphere. It is strategically located in Saket, one of the upcoming business districts in New Delhi with close proximity to Nehru Place, Noida and Gurgaon. Special features of this office include a common atrium, secured basement parking, dedicated Internet and network access and fully equipped meeting rooms. Professional business support services are available for a nominal charge. Located in the heart of Delhi's new premium hospitality district close to Indira Gandhi international airport. Perfect for any business person who is wanting to grow and succeed as the centre strikes the perfect balance between business and leisure. As the centre is close to the airport it is very well connected via the NH8 expressway, metro and bus stations. If clients want to relax or work in a more open and social environment they can use one the large common areas. Co-working and private office options are available at this high-quality business centre set within a 65-acre commercial and hospitality district and has as great access to the national highway-8 and MTRS link. Located in Qutab Institutional area, one of the educational and commercial hubs of New Delhi, this state-of-the-art coworking space is ideally located to provide convenient access to Metro stations and around 10km from the Indira Gandhi International Airport. The Indian capital boasts ruins of forts and medieval bazaars in the midst of office blocks, shopping malls and restaurants providing a unique cultural balance. This office shares the neighbourhood with airline offices, banks, corporate offices and tourist offices as was as some of the world’s finest hotels. Business tends to be conducted in lounges, coffee shops and restaurants while savouring fine dining in sophisticated surroundings. Whatever your business is, conduct it in a way that suits your needs. Offering the right choice of corporate offices in Delhi with world class, personalized services. Ideal for those seeking premium real estate as it makes better sense to to rent a serviced office than to buy and maintain premises of your own. The Centre provides easy and accessible connectivity to all parts of the city as well as to other relevant facilities. As a result, this Business Centre is ideal in meeting the requirements of multinational companies, public undertaking offices, banks, HR consultants, corporate houses, and the like. At this business center, there is complete support and coordination through a plethora of services that suit different business requirements such as provisions for meeting halls, office cabins, recruitment centers and instant office space and business center space. The office brings together technology and management to ensure a convenient platform to perform various business activities. Located in the heart of South Delhi and easily accessible from the metro station, buses and other public transport, the centre enjoys its prime position amidst shops, restaurants and shopping malls. Members have access to hi-tech infrastructure facilities that include video projection, video conferencing, high speed internet and laser printing. All members get tea, coffee and printing credits on a complimentary basis as well. There is the option to work beyond office hours and on public holidays. In the heart of New Delhis CBD this Grade A+, LEED certified integrated commercial building provides office space with spectacular vies of the city and is just 13km from the airport and 3.5km from the main train station. Office space prices ranging from ₹2696 - ₹66545 per month. A co-working beer cafe. Large windows enable ample natural light to fill the space. Celebrate your business success over one of the 50 varieties of beer. The space is open Monday to Friday from 11:00am to 6:00pm. Situated in South Delhi, in the Greater Kailash area. The nearest bus stop is one minute walk from the centre. Greater Kailash metro station is a 17 minute walk from the centre. Moments from the space you will find hairdressers, restaurants and bars. 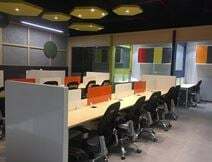 Sharing with a fantastic tech company this collaborative workspace has 10-12 seats available and is located near to Nehru place and Kailash Colony metro stations for convenience. 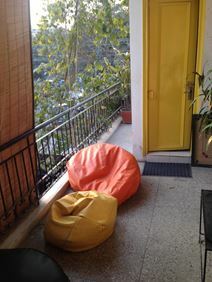 Facilities include a balcony break-out area with lots of sunlight, a high speed internet connection and a play area for relaxing during the work day. A co-working space with a relaxed feel. Large windows ensure plenty of natural light reaches the space. Try some of the centre's food and drink and enjoy discounts for being a member. High speed Internet is accessible throughout. Situated next to PVR Anupam Saket, on Community Center. It is an 11 minute walk to Saket Metro Station and the nearest bus stop is two minutes' away. Close-by there are a number of fast-food joints that include Domino's Pizza and McDonald's. Within walking distance of Palika Bazaar and surrounded my various local amenities this flexible co-working office space is ideal for artists, start-ups, entrepreneurs, musicians, etc. A fully-furnished co-working space. Free printing and office stationery is available. Power backup and many plug points keep you online and fully charged. High speed Internet is accessible throughout. Located on Connaught Circus, in the heart of Delhi. Rajiv Chowk Metro Station is a four minute walk away, which serves the Yellow and Blue Lines of the Delhi Metro system. A brightly coloured, energetic work-space. Air conditioning keeps the space at a cool, comfortable level. Copying, printing and office stationery is included. Food and beverages are available. High speed WiFi keeps your operations running smoothly. Situated in Connaught Place. Rajiv Chowk metro station is a five minute walk away, which serves the Yellow and Blue Lines of the Delhi Metro system. It is an 11 minute walk to Shivaji Bridge railway station. Close-by, there are numerous shops, bars, cafes and restaurants. 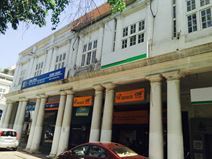 This business centre enjoys a distinctive location in the heart of Connaught Place, a truly remarkable business address in New Delhi which is also home to several of India's largest corporations. Elegant facades and impressive infrastructure are definitely features of this place. The centre itself is modern, fully equipped, tastefully decorated and there is Wi-Fi available in the communal areas. Clients will also benefit from comprehensive business support services for a fixed monthly fee. 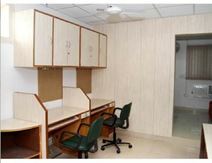 Great for start-up technology companies this modern and fully furnished workspace is located in the heart of New Delhi. Spread across 3,800 sq. ft. on the first floor the centre not only provides quality office space but also offers free programs allowing local business owners to develop new skills. 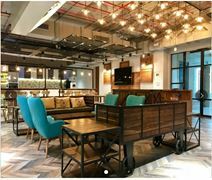 With an excellent location in one of Delhi"s most popular shopping centres this co-working space provides flexible workspace designed to foster productivity among both entrepreneurs and small businesses in India. Located in one of the world’s most expensive business centers and very well connected, it is situated at a walking distance from Rajiv Chowk Metro Station Gate no. seven. They offer free programs allowing local business owners to develop new skills and have a cafe available on the site. It is fully air-conditioned with 100 % power back up, adequate car parking facilities and great management. A fully-furnished, elegant office space. The interior is stylish, modern and smart. There is a welcoming reception area with staff that can help with administrative duties, such as mail handling and telephone answering. Conference facilities are present in meeting rooms. There is a small kitchen area, where you can prepare your food. High speed internet is present throughout the space. Located on Court Chowk Road. The building has an attractive Delhi address. The space is well connected by public transport. It is an 18 minute walk to Malviya Nagar Metro Station and the nearest bus stop is five minutes away. Excellent shopping is accessible just moments from the space. Nearby shops include; Marks and Spencer, Zara, Tommy Hilfiger, Burberry, to name a few. There is also a large selection of restaurants and cafes. Just a few hundred meters from Moolchand and Lajput Nagar Metro Stations this new building in the heart of South Delhi"s Defence Colony and provides a range of open seating, private offices, meeting rooms with world class services and infrastructure. 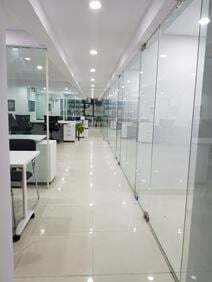 Providing a range of Grade A small, mid and large sized office space this business centre is in the heart of New Delhi"s commercial business district and in close proximity of the East Kidwai Nagar development. A warm and cosy co-working cafe with a beautiful tree in the middle of the restaurant. Designed to inspire creativity while supplying fast complimentary wifi, plug points, free office stationery, power backup, and free parking. Open Monday to Friday from 10:30am to 6:00pm and supplying a curated co-working menu with great options at a discounted rate. Also offering 15% cashback on the total bill amount as well as a buy one get one free offer on selected beverages. Gulmohar Park location, this co-working cafe is situated within a neighbourhood containing cafes and eateries, hotels and retail venues including grocery, hardware and music stores, boutiques, and jewellers, banks and a variety of parks. Hospitals are located just outside the neighbourhood and access to the co-working cafe can be gained via Si Aurobindo Marg and Green Park Metro Station. This coworking space is part of a residential entrepreneurship (RE) concept that promotes helping entrepreneurs to grow their business. 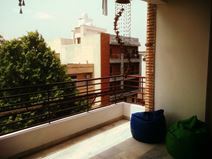 Located in a peaceful part of South Delhi. An exclusive co-working space within a vibrant cafe. Inspiring murals line the walls and a combination of tiles and wood make up the flooring. There is free office stationery and printing available. The space is open Monday to Saturday from 10:30am to 6:00pm. Situated in Green Park, an affluent area of New Delhi. Green Park metro station is a five minute walk away, where you can hop on the Yellow Line or catch a bus. Close-by, there are a variety of shops, bars, restaurants and cafes. It is a 19 minute drive to Indira Gandhi International Airport. Offering up to 150 seats, this coworking workspace creates an environment that is highly energetic and collaborative. Perfectly suited for any business size, from entrepreneurs and start ups to corporate firms looking for a satellite office, this space can meet your business requirements - whatever they are. Situated just five minutes walk from Karkar Duma Metro station, and with bus stops lining the streets outside this office, you're ideally located for all transportation links to make your daily commute as easy as possible. Opening soon - The business centre located strategically in the heart of business hub in New Delhi is offering fully furnished serviced office spaces. Furthermore they have all facilities, business address at a prime location, commercial office spaces, virtual offices, meeting rooms and HD conferencing rooms. It is very well connected as the Janpath Metro Station is just 50 meters away from the centre. 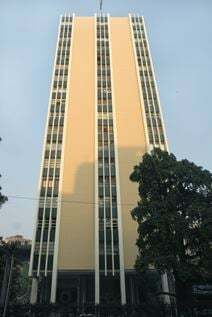 Situated in Hindustan Times House, this centre has been established among multinational and Indian companies in this 18 level building. A building equipped with a number of amenities to assist the smooth running of your business such as power back-up, wifi connectivity, and 24-hour security to name a few. Located near Connaught Place, this centre has prime access to a range of amenities from food, beverage and retail options to financial services and leisure venues. Also well connected to transport, this centre is within walking distance to several subway lines and bus stops. Located in the centre of New Delhi with excellent transport connections, this business centre offers ideal office solutions with excellent amenities, business support services and IT and telecoms. It also has on-site parking. Well connected with Central Delhi, Gurgaon & Faridabad, this landmark building, designed in the shape of a crescent, is conveniently located just five minutes from the renowned and historic Qutab Minar. Furnished offices that are available for immediate occupancy. Well built, beautifully designed and fully furnished - this location is in Lajpat Nagar's Central Market, and only a five minute walk from Lajpat Nagar Metro Station, making the daily commute a total breeze. Offering a professional environment for innovative and collaborative working, this centre is perfect for any freelancers or start-up businesses. Take advantage of the provided high-speed internet, kitchen facilities and complimentary beverages. A well-equipped, modern office space. Stylish fixtures feature throughout the space. The centre offers flexible terms, so that you can find an arrangement which suits your business needs. Meeting rooms can be booked and are fitted with conference facilities and TV screens. Secretarial services such as telephone answering and mail handling are available. Located on Lala Lajpat Rai Road in Nehru Place. Nehru Place Metro Station is a five minute walk away, which connects the area to the CBD. Alternatively, it is a four minute walk to the nearest bus stop. In the vicinity, there are restaurants, banks, coffee shops, hotels, and shops. The building is connected to the Eros Hotel, which is currently rated as a 5-star establishment, however, it will soon reach 7-star status. Lajpat Nagar is the prime commercial hub of South Delhi and easily accessible by all methods of public transport. Comfortable workstations throughout the centre for your team and meeting room facilities available. Aesthetically-designed meetings rooms create an ambience perfect for fostering productivity. The centre is completely secure with entry allowed only through NFC based access cards. The centre is strategically located and easily accessible by public transport, a short km from the metro as well as they offer a wide menu of food and beverage. Parking facilities can also be availed. On Mehrauli - Gurgaon Road, just a few metres away from the Ghitorni metro station, is where is this co-working cafe is located. Providing a charming space with luxurious and royal atmosphere that's sure to provide inspiration and productivity every day. Near to retail outlets, banks, hotels, restaurants and other local and international businesses. Open Monday to Friday, from 10:30am until 6:30pm, providing all the vital amenities one could need in a co-working space. These fully furnished and equipped executive suites benefit from a South Delhi location within the South Extension part II area of the city. Your business will be supported professional staff that man a modern reception at the newly built complex. The centre is quite near to Noida and Faridabad and is well connected to public transportation as there are 3 metro stations within a 10 minute drive of the workspace and bus stops in walking distance of the building. They offer 24/7 access with fixed/dedicated seats and with each seating, you get some fixed amount of hours to use the conference rooms. Providing a co-working cafe by day and a beer cafe by night. A peaceful environment in which to work with all the amenities provided for you; from fast complimentary wifi and complimentary stationery, to plug points, breakout space to chill out in, access to paid parking. Available Monday to Friday from 11:00am up until to 6:30pm and offers buy one get one free on tea and coffee purchases as well as 10% cashback on your total bill amount. Situated between retail outlets and cafes located in Moments Mall, this space is accessible via Kirti Nagar and Moti Nagar metro stations. In close proximity to banks, parks and industrial business including electrical suppliers and automobile workshops. The centre enjoys its prime position amidst corporate offices, restaurants and shopping malls. Parking facilities can also be availed by members. The cafe at the centre also has a wide menu of food and beverage offered. It is completely secure with entry allowed only through NFC based access cards and has CCTV coverage. Members have access to hi-tech infrastructure facilities that include video projection, video conferencing, high speed internet and laser printing. Members also get tea, coffee and printing credits on a complimentary basis. This workspace located close to the Naraina Metro Station, offers a newly renovated workspace with multiple options available to tenants. The space is fully customisable, based on your business needs, and offers a range of choices to suit any business requirements - from coworking space to workshop space for industrial use. Take space in this building and you'll be surrounded by a number of other businesses from a variety of industries - the perfect place for inter-sector networking and innovation. Based in the largest IT hardware hub in Asia, this business centre offers a desirable location along the likes of Intel, Adobe, Siebel Systems and Turner International. 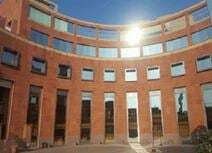 The IFCI headquarters is just across the centre and it is also within touching distance of numerous banks, financial institutions, government offices and hotels. Good transport link to other business districts (Connaught Place, Gurgaon, NOIDA) and residential areas (Friends Colony, Vasant Vihar, Panchsheel). The fixed desk spaces and premium cabins offer pedestal storage, whiteboards and pin-up boards while flexible desk spaces are spread across a vibrant community table setup. Our center is completely secure with entry allowed only through NFC based access cards and has CCTV coverage. Our members have access to hi-tech infrastructure facilities that include video projection, video conferencing, high speed internet and laser printing. Depending on membership plans, members get complimentary meeting credits as well. Members also get tea, coffee and printing credits on a complimentary basis. Parking facilities can also be availed by members. 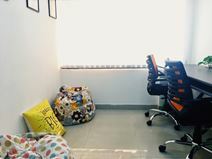 Located in New Delhi"s south district commercial center, Nehru Place, this building provides coworking and serviced office space available on flexible daily or monthly plans. There is a manned reception and hi-speed Wi-Fi. This flexible serviced office space in the heart of South Delhi has a modern, stylish design while tenants benefit from one simple monthly bill. The center is situated right next to the Nehryu Place metro station, making commuting to and from the office both quick and convenient - whether you need five workstations of 50, this impressive business centre has something for you, on a budget that suits your business' needs. Within a major commercial and financial business area of South Delhi and close to the metro rail network and the Outer Ring Road this professional business centre offers fully furnished executive suites and shared office space. To make sure that the centre is secure entry allowed only through NFC based access cards and it has CCTV coverage. Members have access to hi-tech infrastructure facilities that include video projection, video conferencing, high speed internet and laser printing as well as they are able to get tea, coffee and printing credits. The cafe at the centre also has a wide menu of food and beverage offered. The centre is accessible by all forms of public transport, parking facilities can also be availed by members. Strategically located in a state-of-the-art commercial office complex at the heart of New Delhis CBD, Connaught Place this centre is in Grade A+, LEED certified integrated commercial building with cutting edge technology and spectacular views of the city. Opposite the largest Interchange Metro Station in Delhi this air conditioned office space is well located on the main road in the heart of the fastest growing commercial area of the city. Nehru Place Flyover is a neighbourhood filled with financial services like banks and ATMs, hotels, restaurants and eateries, parking buildings, shops, and hospitals which is where you will find this centre nestled. With solutions to suit your business needs from smart cubes that offer privacy while allowing you to network with other tenants, and private suites for those needing non-intrusive office spaces and that can be created to reflect your business' character. Amenities like contemporary cafeterias, fully equipped conference rooms, stellar infrastructure, and friendly receptionists all which work together to create a desirable work space for your business that can fits all your needs. An elegant co-working space with an industrial chic vibe that accompanies multi-cuisine dining. 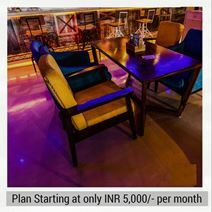 With an electic food menu, brewery theme, dining ambience this co-working space ensures a unique experience. Open from 10:30am until 6:30pm Monday to Friday with the opportunity to sample a discounted menu curated for the coworkers, offering buy one get one free on selected beverages and 15% cashback on the total bill amount. North West Avenue Road is home to a variety of restaurants, bars and eateries and is also close to retail venues, hospitals, hotels and banks with Vir Savarkar Park less that a block away. While you're a resident at this co-working cafe, you'll never be short of opportunities to experience new things. Just over a kilometre to the Govindpuri Metro Station, this business hub provides comfortable workspace that is complemented by conference rooms, high-speed internet and cafeteria lounge. Jasola is a fast-growing business district in South Delhi and is ideally located to allow businesses to take advantage of the booming economy. The fully furnished, modern executive suites and open-plan office space are located within a modern and elegant building close to commercial parks and industrial areas. A quirky co-working cafe. Step outside to the outdoor seating area, enjoy the view and grab some fresh air. There is a projector available to bring your ideas to life. A meeting room is available to book. Situated on Outer Circle, Connaught Place, in the heart of Delhi. It is a four minute walk to Rajiv Chowk metro station and 13 minutes to Shivaji Bridge railway station. Close-by, there are numerous shops, bars, cafes, fast-food joints and restaurants. 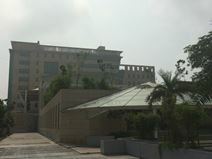 The centre is in the heart of South Delhi and has convenient access to both metro stations and other public transport. Furthermore the centre is completely secure with entry allowed only through NFC based access cards and has CCTV coverage. Members have access to hi-tech infrastructure facilities that include video projection, video conferencing, high speed internet and laser printing. The cafe at the centre also has a wide menu of food and beverage offered. Very well connected with public transport as there is a bus station just in front of the building and some parks are in this area if you would like to go for a nice walk during your lunch break. Perfect office space for startups with a lot of essentials like high-speed WiFi, phone booths, tea and coffee, housekeeping service and these are only some of the amenities. Unique vibrant center has the capacity of total 50 seats including seats in cabins and open fixed workstations. The space has taken care of everything what real and seasoned Entrepreneurs/Businessmen need in their office for the best Productivity and Revenue Generation. Prime location and is only 100 meters from the metro stations, so commuting is a breeze to and from work and grabbing lunch is only moments away from the door step of the office. How can you go wrong! Absolutely Air conditioned office to give you optimum comfort in all weathers. Optimum office design to give your business and your clientele an exceptional feel about your identity and hence will help generating better revenues. A co-working space within a cafe. Sample one of the many tasty option son the menu and enjoy a fantastic 10% off. Teas, coffees, pasta, pancakes and more is on offer. Free office stationery and printing is included. The space is open Monday to Sunday from 8:00 am to 11:00 pm. Situated just off the Outer Ring Road, in Safdarjung Development Area Market. Hauz Khas metro station is a 15 minute walk from the centre and it is one minute to the closest bus stop. Close-by, there are bars, restaurants, hotels, conveience stores and banks. Situated in one of New Delhi's largest business, financial and commercial centres, Connaught Place, this space offers clients more than just an office - clients benefit from partnerships, resources, networking and being part of a community of like-minded entrepreneurs. The New Delhi metro is located directly below the space, providing convenient access to the wider city and making commuting to and from the office quick and easy. A co-working cafe set in a vintage French style bakery known for its delicious rolls, gorgeous cupcakes and luscious coffees. Build your working hours during the open hours of 9:30am to 6:30pm, Monday to Friday. With amenities including fast complimentary wifi, free printing and office stationery, and power backup with compact seating, metro paid parking nearby and offering 15% cashback on all bill amounts if you choose to purchase food or beverages while working here. SDA Market area is filled with a variety of eateries, bars, cafes and restaurants, banks and ATMs, chemists and pharmacies, hotels and hostels. A short distance from Outer Ring Road: home to parks and rose gardens, gyms and outdoor leisure facilities, and well connected to metro stations and bus stops. Beneath the Sector 13 Metro station, this co-working cafe has been curated to provide an econmical menu that gives you all a co-working space has to offer without having to worry about expenses. With its soothing ambience and great coffee this space, open every day of the week between 10:30am and 6:30pm, allows you to create your own business hours in an open space where you have the opportunity to meet people from all walks of life. Close to retailers, restaurants, bars and eateries as well as gyms, hotels like the Radisson Blu, and banks providing you with all the amenities you could need. Only short stroll from DDA park where you can explore the parks and gardens on a fine day to get out of the hustle and bustle of the cafe and reflect on tasks ahead. 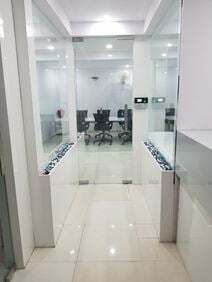 Including executive suites and shared offices this professional business centre is located in the upmarket Vasant Kunj area of South West Delhi. Just 6km from Delhi International Airport the centre is ideally located for the international traveller and is already home to a number of major international corporations. Enter the business world with a bang, sail swiftly through the uncertain dynamics of the market, venture into the untapped segments and write a success story. Furthermore they enable to absorb their entrepreneurial knowledge and investment experience for startups. Very well connected and it's in walking distance from the NSP metro station on the Red Line. The office space is situated in the vibrant city centre, providing prime access to public transport. There are two metro stations that are accessible within five minutes and connect you to the red and pink lines. A premium centre that offers affordable coworking and private offices space to cater to startups, small businesses, offsite corporate projects, and businesses that are expanding. Flexible terms are offered here with amenities that include security, a staffed reception, high-speed WiFi , housekeeping and maintenance, and networking events and workshops so you can expand your business while settled here. Within Shivaji Stadium Metro Station this New Delhi business centre is ideally located for quick access to the whole city including the central business district. A range of shared office space and fully furnished executive suites are available. Located in South Extension, this business centre benefits from one of South Delhi"s most exclusive areas and is spread over a total of 6,000 sq. 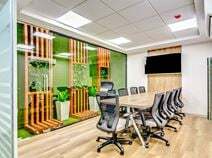 ft. As well as a total occupancy of 97 workstations, this co-working space also provides a range of meeting rooms equipped with high technology. 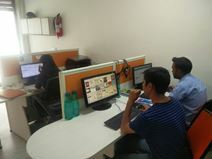 The centre based in Okhla, South Delhi is the perfect place to be if you are looking for a collaborative workspace. The metro station is just at walking distance from the centre as well as there are many fine dine to delivery restaurants, cafes and breakfast places. Meeting rooms, fresh coffee & tea and on-site technical support and pre-tested systems are available at the centre, too. This space is located just five minutes from Karkar Duma Metro Station, offering the ideal daily commute to this fully-furnished coworking space. Offering up to 50 seats, this centre is perfect for any start-ups or freelancers looking to grow their business in a central location. Benefit from access to a conference room, printing and scanning facilities, an on-site cafe, plus secure car parking and a professional reception area. Exposed brick walls and large metal pillars contribute towards the character of this space. Enjoy a wide variety of food and drinks options. Members of the space will receive discounts. Take a breath of fresh air in the outdoor seating area. Situated just off Najafgarh Road. The nearest bus stop is positioned outside of the space. Rajouri Garden Metro Station is a three minute walk away, where you can hop on the Pink and Blue Lines of the metro system. Close-by, there are bars and restaurants to explore. An energising co-working space. Conduct some relaxed work in the upstairs chill-out area, where there are low tables and comfy cushions. There is an outdoor area with artificial grass and colourful potted plants. High speed WiFi is available throughout the space. Situated on Westend Marg. It is a 7 minute walk to Saket Metro Station, which serves the Yellow Line of the Delhi Metro system. Close-by, there are a number of cafes and restaurants. It is a 6 minute walk to The Garden of Five Senses. Indira Gandhi International Airport is a 23 minute drive away.